You don’t need the luck of the Irish to find affordable last-minute flights for St. Paddy’s weekend. March 17 falls on a Friday this year, making this an ideal year for a long weekend celebration. And it’s not too late to get in on the fun. We looked at the average round-trip prices travelers are finding for flights departing for a long weekend (between Wednesday, March 15, and Friday, March 17) and rounded up 17 destinations where the celebrations are epic but the airfares are not. So pack your bags, grab some festive garb and make your friends green with envy this St. Patrick’s Day. 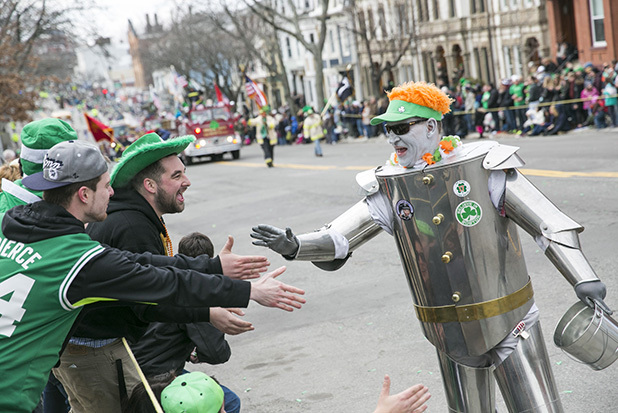 Whether you make Boston your solo stop for St. Paddy’s Day weekend or combine it with a side trip to nearby Providence, R.I., the main event is the St. Patrick’s Day Parade in South Boston on Sunday, March 19. Weekend celebrations also include American Celtic punk band Dropkick Murphys’ concert at the House of Blues on March 16 and walking Boston’s Irish Heritage Trail. The Windy City is awash in green during the month of March. 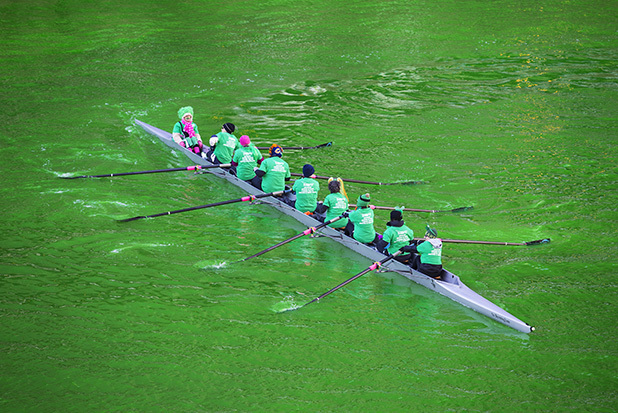 While the traditional dying of the Chicago River (eco-friendly vegetable dye, of course) happens the previous week (on March 11), there is plenty of green to be seen throughout the month. In fact, from March 10-19, iconic buildings, monuments and streets will be lit up with green. On March 15 and March 16, enjoy traditional Irish music at the Driehaus Museum featuring Irish tenors Paddy Homan and the Noble Call. Follow it up with a day-long celebration at the Irish American Heritage Center on March 17, or take part in Chicago’s largest St. Patrick’s Day party, Forever Green, now in its 42nd year. If you’re looking for something a bit different, head over to Metro, where local Chicago punk band The Tossers will be mixing traditional Celtic music with punk rock. 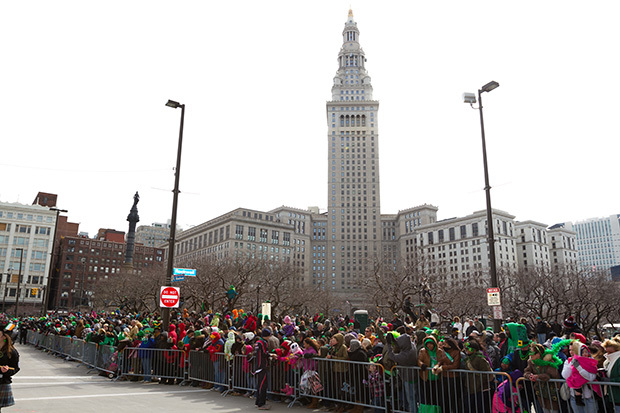 Celebrate St. Patrick’s Day CLE-style by attending the 175th annual St. Patrick’s Day Parade in Downtown Cleveland‘s oldest St. Patrick’s Day Parade. Beginning at 1:04 p.m. on Friday, March 17, 10,000 participants will march through the streets of Cleveland to the newly redeveloped city center park, Public Square. Hundreds of thousands of spectators sporting green gear flock to Downtown Cleveland for the festivities. Many start celebrating in the early morning hours with Irish food, drinks and live entertainment at establishments like Flannery’s Pub, Flat Iron Cafe and Parnell’s Pub in Downtown Cleveland. Further afield is Kamm’s Corner in West Park, the epicenter of Cleveland’s Irish heritage. From kegs and eggs at West Park Station to performances by bag pipers and Irish dancers at P.J. McIntyre’s Irish Pub, celebrations in Kamm’s Corner are not in short supply. A trip to Cleveland isn’t complete without eating the biggest, and arguably the best, corned beef sandwiches in Cleveland at Slyman’s, which has caught the attention of U.S. presidents and celebrities, and downing a pint of Great Lakes Brewing Co.’s Conway’s Irish Ale. The “City that Never Sleeps” is hosting St. Patrick’s Day celebrations throughout the five boroughs. From the iconic NYC St. Patrick’s Day Parade in Midtown Manhattan on March 17, the oldest and largest St. Patrick’s Day parade in the world (the parade was first held in 1762), to “Little Ireland” in the Woodlawn area of the Bronx, there is something for everyone looking to discover the luck of the Irish. Other options include an Irish walking tour from Big Onion Tours on March 18. This family friendly tour takes guests on a tour of the former “Little Ireland” district of the Lower East Side, between City Hall and Houston Street. Don’t miss the 42nd annual Brooklyn St. Patrick’s Day Parade on March 19, making a loop from Prospect Park West to Seventh Avenue and back. 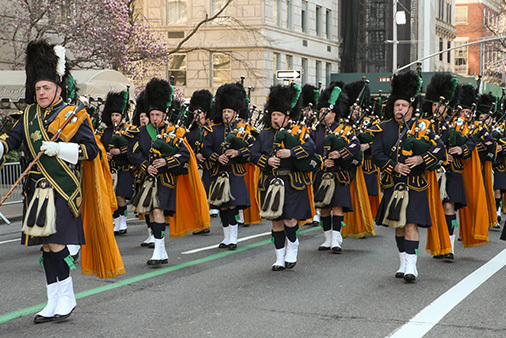 The parade commemorates the Battle of Brooklyn and pays tribute to the Irish for their significant and historic contributions while marching through the neighborhoods of Prospect Park and Park Slope in Brooklyn. 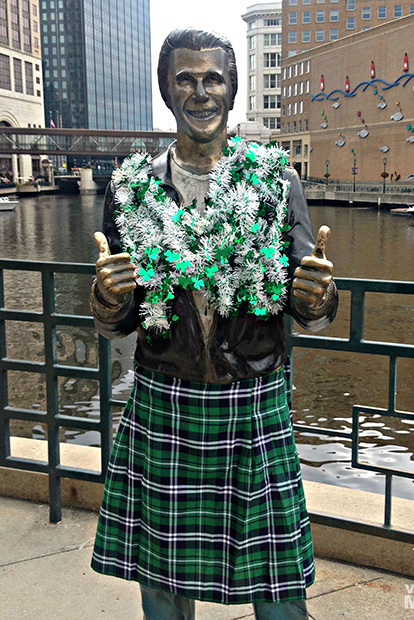 Visitors can enjoy an all-things-Irish in Milwaukee, Wisc., by starting the week at the Irish Comedy Tour at the Marcus Center for the Performing Arts, then stay at the County Clare, Milwaukee’s only Irish B&B, right in the heart of downtown. Its Irish pub is actually one of the best in the state. And no St. Patrick’s Day is complete in the City of Festivals without a street party — Nomad Pub on Brady Street is hosting one all day March 17. Take time to indulge in the city’s legendary bar scene via a tour like the Milwaukee Food & City Tour Pre-Prohibition Bar Tour to learn all the secrets of Milwaukee’s oldest taverns. Close out the weekend by burning off the copious pints of green beer consumed at the city’s most popular bar streets (Water Street, Milwaukee Street, Brady Street and North Avenue) at the Lucky Leprechaun 7K in neighboring Wauwatosa, Wisc., on Saturday, March 18. Milwaukee is also home to the shortest and smallest St. Patrick’s Day Parade (the route is 280 feet!) in Catalano Square in the historic Third Ward at 4:30 p.m. on March 17. The festivities include free green beer and festive beads, the chance to kiss the Blarney Stone and try your luck at the pot-of-gold toss. Providence, R.I., is party central on St. Paddy’s Day. Festivities kick off on Friday, March 17, at 11 a.m. at The Rosendale St. Patrick’s Day Block Party. The party includes copious amounts of corned beef and cabbage, Guinness stew and The Rosendale’s famous Reuben sandwich. Live music by Tougas Brothers Irish Band begins at 5 p.m. The merriment continues on Saturday, March 18, at noon at the Providence St. Patrick’s Day Parade. Burn some calories at the Tour de Patrick’s Guinness St. Pat’s 5K in Providence on March 18, the second in a trio of March races. The best part about celebrating in Providence, R.I., is continuing the fun on Sunday in nearby Boston. There is never a shortage of nightlife options in Miami, and St. Patrick’s Day is no different. Head to SHOTS Miami for their St. Paddy’s Blowout, where you can partake in drink specials before making use of the festive selfie booth. If you’d rather not stay put, join the hundreds of revelers taking part in the St. Patrick’s Wynwood Bar Crawl, which starts at SHOTs and takes you to a handful of area bars. Or, get an early start and celebrate St. Patrick with an outdoor block party at Fado Irish Pub on Friday, March 17. There will be live bands, DJs and plenty of beer and cocktail tents. Not your typical St. Patrick’s Day celebration, Dallas puts its own local spin on the festivities with Cowtown Goes Green. Held at the Fort Worth Stockyards National Historic District, it’s the city’s largest St. Patrick’s Day celebration. With an Irish-meets-Western parade, cattle drive, armadillo races and live music, it’s sure to be a memorable celebration. Saturday, March 18, check out Women of Ireland, a traditional dance show and celebration of all things Irish. For a more unconventional celebration, head over to The Dallas Derby Devils’ annual “Clover Cup” from March 17-19 for some festive roller derby action. One of the perks of flying to Los Angeles for St. Patrick’s Day is that regional airports like Hollywood Burbank Airport, Long Beach Airport and John Wayne Airport can be low-cost alternatives for flights during St. Patrick’s weekend. Dress in green and explore the bars in downtown Los Angeles during the St. Patrick’s Day Bar Crawl. Locals love Casey’s Irish Pub’s 44th Annual St. Patrick’s Day Street Festival on Friday, March 17. The 20-hour celebration features live DJ performances and festive drink options. Other places to grab a pint and revel in the holiday include neat., one of West Los Angeles’ newest bars that serves Irish whiskey shots and Irish-inspired concoctions like Irish Spring, Tullamore Dew, Green Chartreuse, lemon and ginger with mint sprig garnish. Charlotte, N.C., celebrates St. Paddy’s Day with a trio of events. The 21st Annual St. Patrick’s Day Parade & Charlotte Goes Green Festival on March 18 is one of the largest in the Southeast. Before and after the parade, the free Charlotte Goes Green Festival features live Irish music by the Federal Clan Kings, Irish dancers, and a pipe and drum band performance by Grandfather Mountain Highlanders. Or head to Blackfinn Ameripub for their Shamrock’n the Village, the area’s largest St. Patrick’s Day party with outdoor tents, music and giveaways. 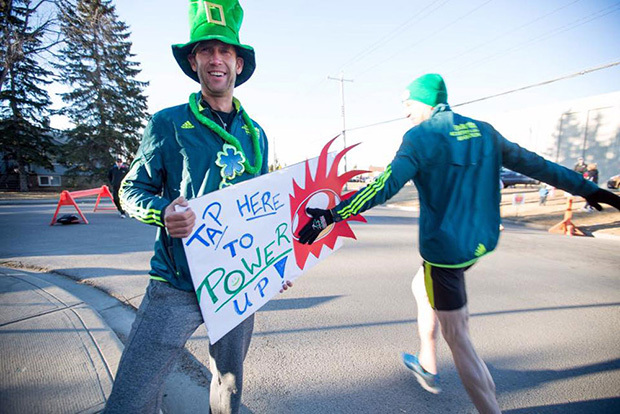 If you’re looking for something a bit more active, take part in the St. Patrick’s Day Beer Run 5k on March 17. If you work up an appetite, there are plenty of Irish pubs where you can share a pint with friends, old and new. 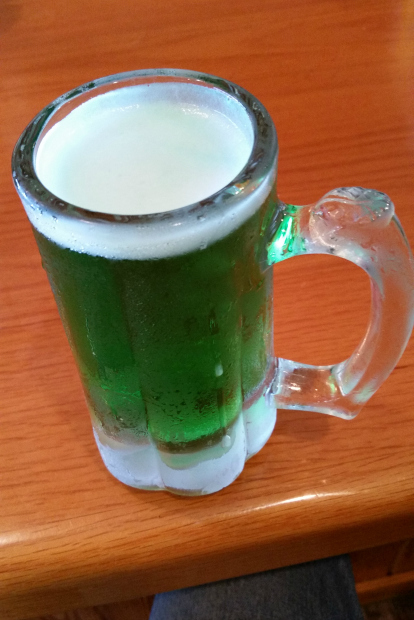 Try Selwyn Avenue Pub, RiRa Irish Pub or Fitzgerald’s Irish Pub for all the green beer, Irish fare and bar snacks. The Irish in Montréal have celebrated St Patrick’s Day for nearly 260 years and have held a parade as the centerpiece of those celebrations for 194 consecutive years. There are almost as many Quebecois with Irish heritage as the entire population of Ireland. But most don’t know there are many events spanning nearly two months (like the Montreal Irish film festival) that encapsulates what locals call the “Irish Season.” More than 100 groups march in the St. Patrick’s Day Parade at noon on March 19, which is even more festive this year as the city celebrates its 375th anniversary. Raleigh offers revelers plenty to do on St. Patrick’s Day. Take part in one of the festive pub crawls through the city’s lively bar scene. On Friday, March 17, the annual St. Patrick’s Day Crawl kicks off at Anchor Bar and hits all the local favorites in the Fayetteville Street area. If you’re looking for a celebration of Irish heritage minus the green food coloring, head over to Tir nanOg Irish Pub for traditional Irish music and dance on multiple stages, outdoor seating and plenty of food and drink. For half a century, this ocean-front community has celebrated St. Paddy’s Day with the city’s St. Patrick’s Day parade, which stretches along a two-mile route lined with locals and visitors there to cheer the floats, bands and other green-clad marchers. This year’s 50th annual Saint Patrick’s Day Parade in on March 18. Festivities culminate with the After Parade Party at the Columbian Club of Ocean. Toronto has a very strong Celtic heritage. Pub crawls, an Irish Film Festival, performances and fun runs mark St. Patrick’s Day. Toronto hosts Canada’s largest St. Patrick’s Day Parade on March 19, but festivities begin with the Grand Master’s Ball at Casa Loma on March 17. Toronto’s St. Michael’s Cathedral, which is now a basilica, is saying a St. Patrick’s Day mass at 10 a.m. on March 17. The revelry isn’t complete without indulging in a pint or two at area pubs like Cèilí Cottage, which has special events scheduled from March 9-17, and finding a pint o’ gold at the Steam Whistle Brewing’s annual St. Patrick’s Day Party on March 17. There are plenty of St. Paddy’s Day options in Calgary, from Irish cultural performances to green beer. Fuel up at Big Rock Brewery’s Brewmaster Dinner, Handcrafted: A Kickoff to St. Patrick’s Day on March 16 and listen and dance to Irish tunes (the Irish Cultural Society of Calgary is hosting a variety of concerts). 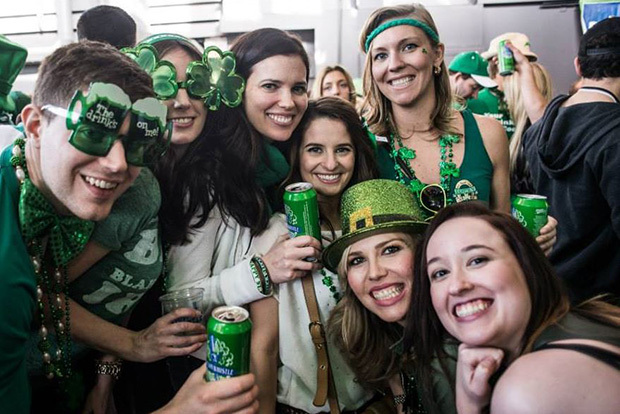 There are a trio of pub crawls and tours, including the Shamrock Shaker Pub Crawl on March 17, St. Paddy’s “Shamrock” Club Crawl on March 17 and Calgary Brewery Tours on March 17 and 18. If visitors are still thirsty, there are a plethora of pubs offerings festive food and drink and special St. Paddy’s Day events and parties throughout the city. Jacksonville, Fla.’s pristine beaches provide the perfect backdrop for St. Paddy’s Day revelry. The city’s bars are packed with green-clad partiers, especially along the river at Jacksonville Landing. Those who want a two-for-one St. Patrick’s Day weekend getaway can also opt to jump on a party bound for nearby Savannah, Ga. In Savannah, festivities begin long before St. Paddy’s Day with dying the water in the city’s fountains green. 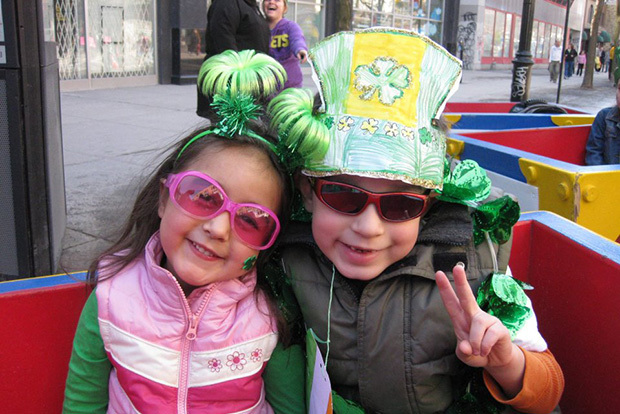 The main events, however, are the St. Patrick’s Day Parade on March 17 and the St. Patrick’s Day Festival March 16-18. The celebration culminates with the St. Patrick’s Day Fire Ball, a dance party hosted by IAFF Savannah Firefighters. Tucson, Ariz., was essentially founded by Irishman Hugo O’Conor, who signed the declaration on August 20, 1775, to establish the Presidio at San Agustin del Tucson, so it’s fitting the city has several large celebrations. Locals celebrate St. Paddy’s Day with the St. Patrick’s Day Parade & Festival of Tucson on March 17. 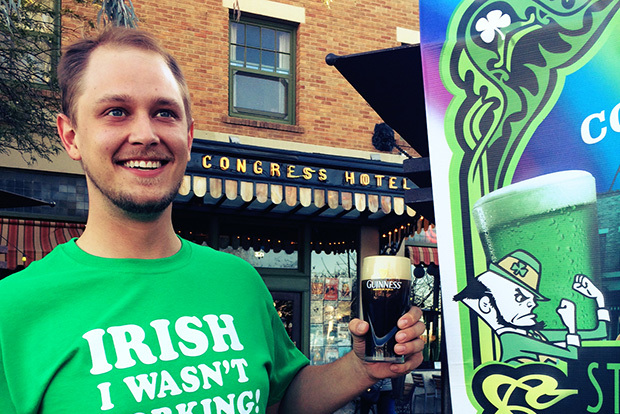 Don’t miss the chance to raise a pint at the Hotel Congress, which is hosting the St. Patrick’s Day Great Guinness Toast on March 17 as well. 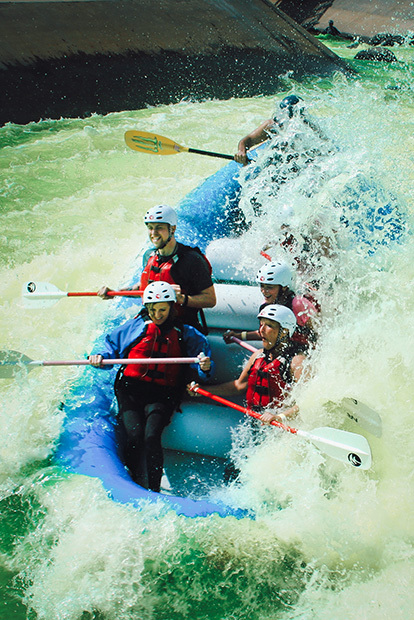 Previous ArticleQUIZ: Never have I ever: How adventurous a traveler are you?